In short the wines are made in the traditional Rioja manner. The company is adamant about not using French oak, keeping the unique Rioja style which has been developed since the end of the 19th century. In spite of the varying amount of time in cask and bottle the wines all display a wonderful rich ruby colour, gorgeous aromas of oak, spices and fruit followed by a sensational feel on the palate, with a wonderful smooth texture, clean rich oaky/fruity flavours and a long lingering finish. All the wines are ready for consumption on release but will keep for many more years in bottle. This situation is almost unique in the world of wine and is the reason why so many restaurants list La Rioja Alta's outstanding range of truly classic Rioja wines. 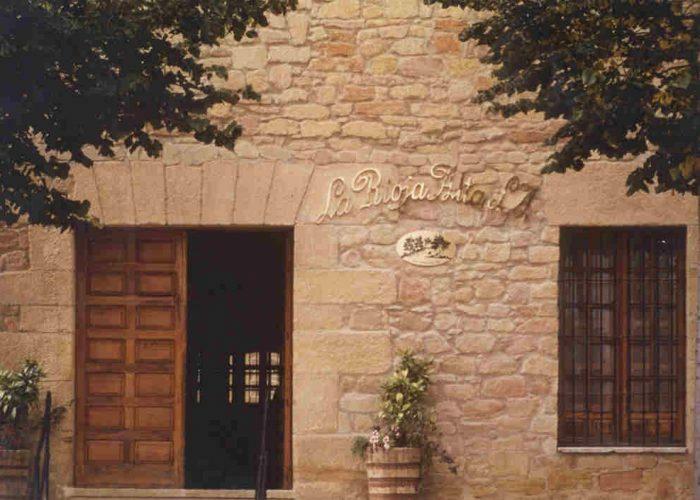 The Bodega was formed in 1890 as a partnership of 5 quality-conscious growers keen to exploit the export potential for well-made, 'modern' Rioja. At this time, French vineyards were ravaged by phylloxera, and connoisseurs were having to look elsewhere for supplies of fine wine. Rioja, with its excellent climate and soils, had already attracted attention, and experiments with Bordeaux-style vinification and barrique-aging were proving very successful. The region's only real disadvantage was its remoteness, cut off from the lucrative markets to the north by the same mountains that ensured its favorable climate. This problem was solved by construction of the rail link to Bilbao, and it is no coincidence that Bodegas La Rioja Alta was established next to the Haro railway station in the same year it opened. In 1904, La Rioja Alta absorbed Bodegas Ardanza, and gained access to some of the finest vineyards in the Rioja Alta district. The luxury 904 bottling commemorates this important milestone in the company's development. Since then Rioja has seen more bad times than good, and many producers have harmed the reputation of the region and its production methods, releasing sloppily-aged wines which were never good enough to support a long time in cask. But La Rioja Alta has never let standards slip, and continues to this day the tradition of careful long-aging that gives Rioja its unique character. These wines offer a wonderfully complex bouquet, rich flavours, a seductively smooth texture, and are all ready to drink on release.